According to video reports, officers involved in the coup gave moment-by-moment status reports in a WhatsApp group chat entitled “We are a country of peace” (“yurta suhl b iziz”), as the faction moved to shut down the bridge over the Bosporus connecting the Istanbul region to the rest of Turkey and conceal their operations from official communications channels. But even as the coup planners were using encrypted consumer-grade communications as part of their operational security, they failed to take into account that Internet messaging would be used against them. 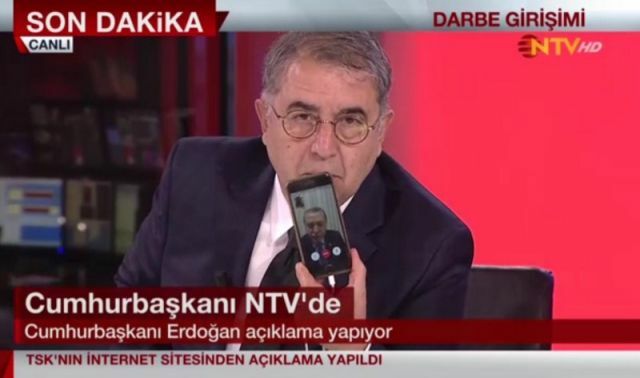 While some social media channels were slowed by apparent network bandwidth throttling early in the coup attempt, Turkish President Recep Tayyip Erdoğan was able to use Apple’s FaceTime video chat app to reach at least two television stations and call for citizens to take to the streets to counter the coup attempt. Erdoğan’s message also reached mosques, which used their public address systems normally used for calls to prayer to rally supporters and get them out onto the streets to confront the units involved in the coup. The coup attempt, which reportedly was rushed because of fears that information about its planning had leaked, began with the seizure of Turkish state broadcaster TRT and the cable network CNN Turk. But there was no move against a number of other broadcasters, and social media remained active. As the information security and operational security expert known as “The Grugq” noted in a post to Medium, the plotters largely failed because they neglected to take the potential of social media into account. And their failure to capture Erdoğan before he reached television broadcasters via FaceTime from his plane gave the government the opportunity to rally resistance. Compared to two successful coups in Thailand that The Grugq witnessed firsthand—where the military shut down communications (in one case by cutting power to the entire city of Bangkok)—the Turkish coup plotters made a fundamental error in their cyber plans. And that was despite the fact that one of their number had almost literally written the book on how to manage cyber-operations to shape the battlefield.